Dr. Christine Darden #WHM17 #WomensHistoryMonth #WomenInSTEM « Adafruit Industries – Makers, hackers, artists, designers and engineers! Dr. Christine Darden is an aeronautical engineer who worked at NASA and contributed to their research on sonic booms. Dr. Christine Darden is an American mathematician, data analyst, and aeronautical engineer who devoted her 40-year career in aerodynamics to researching sonic booms at NASA. She was the first African-American woman at NASA’s Langley Research Center to be promoted into senior executive service. Darden is one of the women scientists featured in Hidden Figures, a book by Margo Lee Shetterly published in 2016. Darden was born September 10, 1942 to schoolteacher Desma Cheney and insurance agent Noah Horace Mann Sr. in Monroe, North Carolina. Both parents encouraged her to pursue a quality education. Starting from age three, Darden was brought along to the classrooms where her mother taught, and at age four, Darden was enrolled in kindergarten. During her grade school, Darden took a great interest in breaking apart and reconstructing mechanical objects like her bicycle. Darden finished her last two years of primary school at Allen High School, a boarding school in Asheville, North Carolina. She graduated as the class valedictorian in 1958, subsequently receiving a scholarship to attend Hampton University, then known as Hampton Institute. During her time at Hampton, she found time to participate in some of the earlier protests of the Civli Rights Movement. She participated in several student sit-ins alongside her other Black peers. She graduated from Hampton with a B.S. in Mathematics in 1962. She also earned a teaching certification, spending a brief portion of her early career teaching high school mathematics. In 1963, she married Walter L. Darden Jr., a middle school science teacher. In 1965 she became a research assistant at Virginia State College, studying aerosol physics. At Virginia State, she also worked as a professor of mathematics and earned her M.S. in 1967. The same year she was hired by NASA as a data analyst at Langley Research Center. Most of Darden’s early work involved performing calculations for engineers, though later she began automating the process by writing computer programs. In 1973 she was promoted to an aerospace engineer by her superior John V. Becker after almost being fired from her previous position. In 1983 she earned a Ph.D in engineering from George Washington University. Her early findings resulted in a revolution of aerodynamics design demonstrating low-boom sonic effects in the 1960s and 1970s. 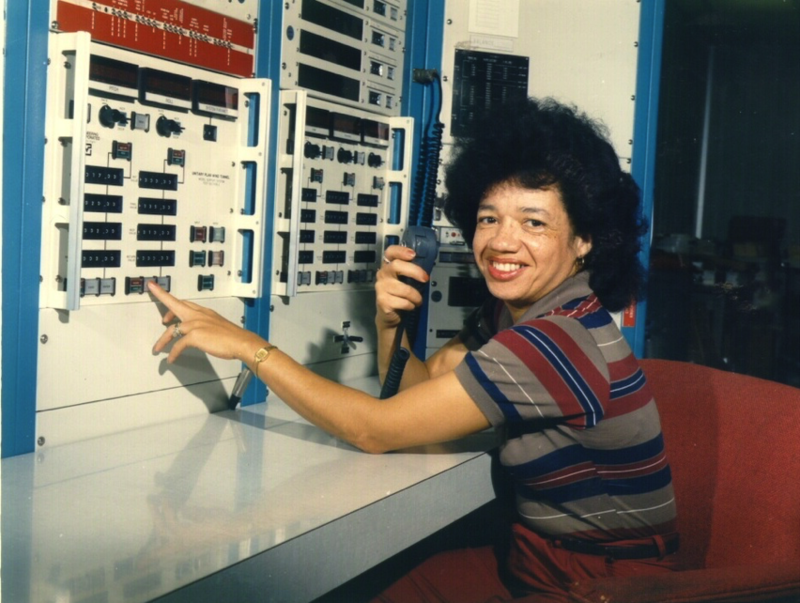 Darden was one of several African-American women employed at Langley known as the “West Area Computers.” The collective, once tasked with processing scores of collected flight test data, soon garnered a reputation as “human computers” essential to NASA’s operation. Despite their noted efficiency, the women were subject to Jim Crow laws even then, and were often required to use separate facilities. Before the group was disbanded, Darden moved up the ranks to become “one of NASA’s preeminent experts on supersonic flight and sonic booms,” as well as the first African-American woman at Langley to be promoted into senior executive service. In March 2007, Darden retired from NASA as director of the Office of Strategic Communication and Education. She is the author of more than 50 publications in the general field of aeronautical design, specializing in supersonic flow and flap design, as well as the prediction and minimization of sonic booms. In 1985 Darden was awarded the Dr. A. T. Weathers Technical Achievement Award from the National Technical Association. She also received three Certificates of Outstanding Performance from Langley Research Center in 1989, 1991, and 1992. She received a Candace Award from the National Coalition of 100 Black Women in 1987.